Galene Press publishes literature designed to connect children to nature around them. We strive to provide a reading experience that not only entertains and educates, but also fosters an emotional bond between kids and the habitats and animals of our Earth. People protect what they care about. Galene Press books use story, art, and imagination to instill emotional investment in the beauty and fragility of our natural world. Our characters, based on real animals and habitats, as well as fantasy creatures, encourage children to have an emotional relationship with nature. Once a child falls in love with a quirky seahorse or mermaid in a book, for example, it is quite natural to love the sea and the real animals that live there. Every Galene Press book presents not only an enjoyable story, but also real insights into animal behavior and other nature sciences. We hope our books inspire kids to continue learning about nature. We hope, with every Galene Press book they read, they fall in love over and over again! Galene Press is the publication platform of Faerie Mermaid Galene. 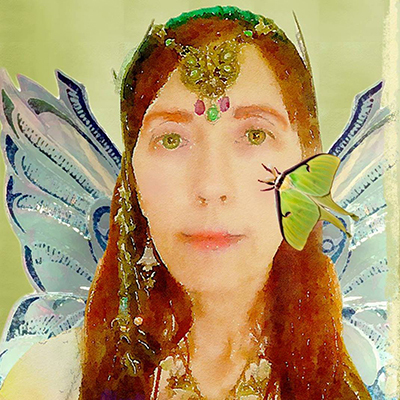 Faerie Galene Meadowmoth, aka Mermaid Galene, is a character created by naturalist/entertainer/artist/writer Diane Laura Rains. Love and respect for animals and nature, as well as the creative power of imagination, have always been paramount in Diane's awareness, from earliest childhood right up to today. Diane honed her knowledge of the natural world with many years of schooling, including B.S. and M.S. degrees in Wildlife Science, as well as a PhD education in Veterinary Physiology, and advanced coursework in positive reinforcement-based animal training. After working as a park naturalist and zookeeper, Diane chose to steer her career goals in a more creative direction. Along with her husband, Stu Janis, Diane dove enthusiastically into the world of professional puppetry with her own touring company, Freshwater Pearls Puppetry. For over 25 years and in over 600 performances across the U.S., Diane and Stu entertained thousands of children and adults with their original puppet productions. Music, too, has always been a part of Diane's life. She is an adept pianist and singer. One of her greatest joys is writing songs and making music with her multi-talented husband in their duo, Neptune's Keep. 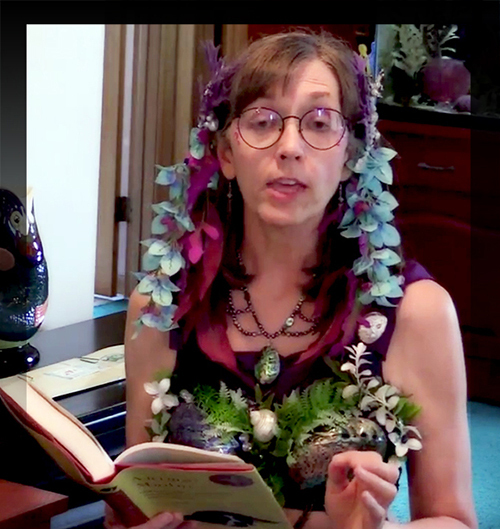 Through Galene Press, Faerie Mermaid Galene creates children's literature that works in concert with her other artistic endeavors to help kids reap the lifelong rewards of nature study and reading. May their anthem never fade. when the choir of Life serenades the sky. There's a mysterious world just outside our windows, in the dark, in the fleeting flurry of summer. 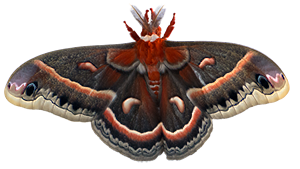 In this secret world, moths with elaborate shapes and magnificent colors live their dramatic lives with a beauty and urgency unnoticed by most humans. 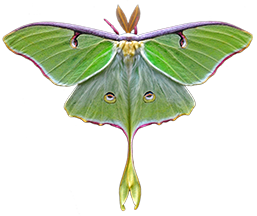 These essential citizens of the night have but a few days to complete their mission: find love (however a moth perceives that ephemeral thing of biological majesty), procreate, and die. Such a fragile imperative, pursued with such utter beauty! 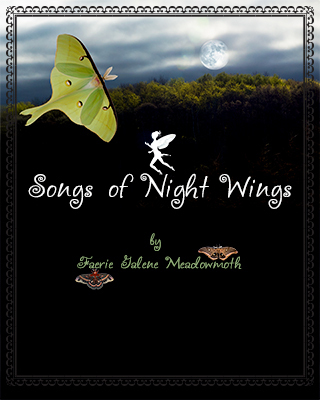 Songs of Night Wings by Faerie Galene Meadowmoth celebrates the Saturniidae, a spectacular family of moths found worldwide. 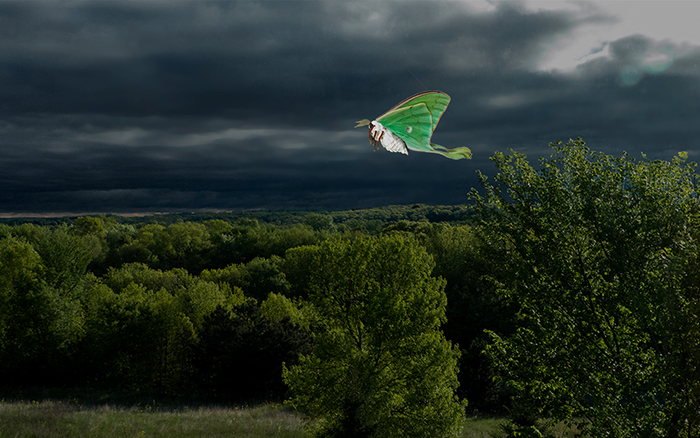 Five poems about majestic, night-flying moths native to North America are illustrated by Galene's breathtaking oil paintings. With dramatic and delicate lyricism on a par with the dramatic and delicate beauty of her subjects, Galene spins tales of love lost and won, of futures longed for but barely glimpsed, and of human threats to the existence of these gentle giants. SPECIAL BONUS!! Author-composer Diane Rains (aka Faerie Galene) has set these poems to music, and Neptune's Keep recently finished a professional studio recording of the songs. Every purchased copy of the Songs of Night Wings book includes access to the companion downloadable MP3 music EP. Galene is hard at work on the book and its illustrations with the goal of a summer 2018 publication date. Watch this site and social media for progress reports and publication announcement! Mona Louise was hapless. That's what her brothers and sisters said. According to them, seahorses should do things in the usual way. But Mona Louise does things differently. She plays with her food. Her dance style is awkward. She sleeps in a dish and hangs upside down and prefers the company of snails and shrimp. Mona Louise begins to worry that her hapless ways are just... wrong. But Massive Mama, their very tall caregiver, loves Mona Louise just the way she is — especially the way she is. And that makes all the difference. The Hapless Habits of Mona Louise, written and illustrated by Mermaid Galene, is based on the antics of real seahorses that live with the author. Mona Louise was a classic oddball individualist who nevertheless found acceptance and happiness within her social goup. The book presents a loving tribute to a memorable animal companion and conveys universal lessons about nonconformity, sibling and extended family relationships, tolerance, and self esteem. These themes are nestled within a whimsical story that also contains a wealth of information about seahorse behavior, intelligence, and emotion. 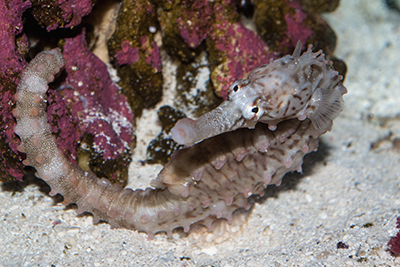 Seahorses are truly unique creatures beloved by all who encounter them. 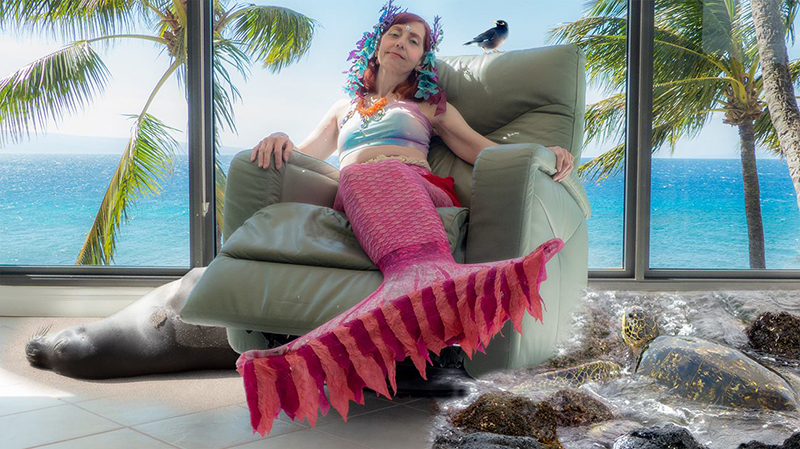 The Hapless Habits of Mona Louise brings this fascination into focus with an endearing look into a wondrous community usually hidden in the depths of the ocean, far from human eyes. 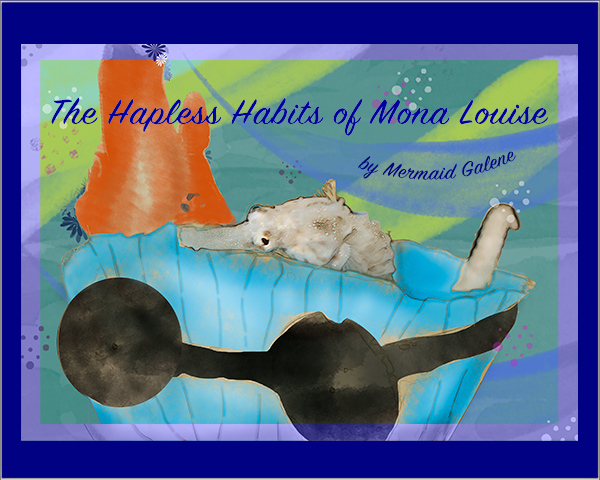 The Hapless Habits of Mona Louise, written and illustrated by Mermaid Galene, is based on the antics of real seahorses that live with the author. Mona Louise was a classic oddball individualist who nevertheless found acceptance and happiness within her social goup. The book presents a loving tribute to a memorable animal companion and conveys universal lessons about nonconformity, sibling and extended family relationships, tolerance, and self esteem. These themes are nestled within a whimsical story that also contains a wealth of information about seahorse behavior, intelligence, and emotion. Seahorses aretruly unique creatures beloved by all who encounter them. The Hapless Habits of Mona Louise brings this fascination into focus with an endearing look into a wondrous community usually hidden in the depths of the ocean, far from human eyes. Children are sure to be captivated by their visit to Mona Louise's world, at once so fantastical yet comfortably familiar! Buy our books at Fae By Nature on Etsy and Amazon. © 2017 Fae By Nature. All rights reserved.